Higher education around the world is undergoing significant change. Globalisation and competition from new modes of provision have sparked a strong debate about how to maintain the efficiency and effectiveness of higher education. These developments challenge the “traditional” model of university education and its future. How does the management of European universities adapt to these innovations? What are the new modes of education provision across Europe? 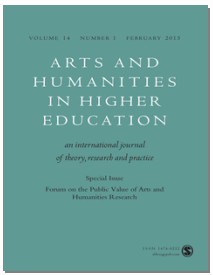 What is the role of university governance and government policy in establishing and regulating innovative modes of education provision? What are the motivations, barriers and drivers for innovative education provision? 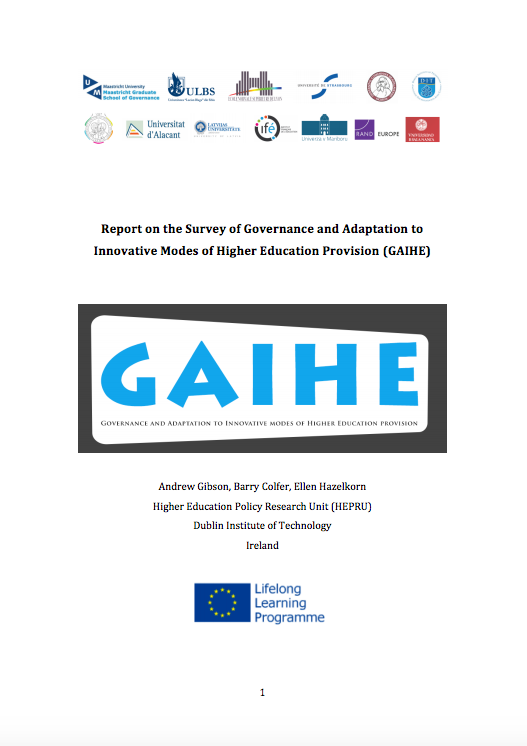 This report written by the HEPRU research team of Andrew Gibson, Barry Colfer, and Ellen Hazelkorn, provides initial findings and observations based on the 47 responses to the “Survey on the Governance and Adaptation to Innovative Modes of Higher Education Provision”. The survey was circulated on April 2014 to European higher education institutions (HEIs) based in 9 countries. The full text of this report is available from DIT’s Arrow repository at this link. In discussing desired changes in terms of governance and organizational structures, respondents from different countries pleaded an inability to introduce such changes due to the government’s role in defining what can or cannot be done in HEIs. It may very well be that there are real barriers to innovation existing at the governmental level; however, it may also be the perception by HEIs of such barriers which have become inhibitors of innovation. One way of clarifying this is via the idea of governance, risk management, and compliance (GRC). In the governance of higher education, especially public higher education, there may be more of an orientation towards compliance, ”acting in accordance with established laws, regulations, protocols, standards, and specifications.” Risk here is understood in the broader sense of being outside of these set norms, and as such includes opportunities as innovation affords. Implementing innovation by definition requires an attitude aligned more with a risk mind-set, rather than one that focuses on compliance and following a set path. This is as true in higher education governance as it is in corporate and private-sector governance. It could be argued, based on the findings, that HEIs made easy cosmetic changes, e.g. redrafting mission statements, greater emphasis on quality assurance, and redefinition of the role of different staff members. There seems to be relatively little evidence of structural change becoming manifest. Further evidence for this is found in the fact that many of the changes were made at the module level, rather than at the programmatic or institutional level. As such, changes could be described as “low-hanging fruit”, and that further “real” innovations beyond this level would require significantly greater level of leadership, coordination and implementation. 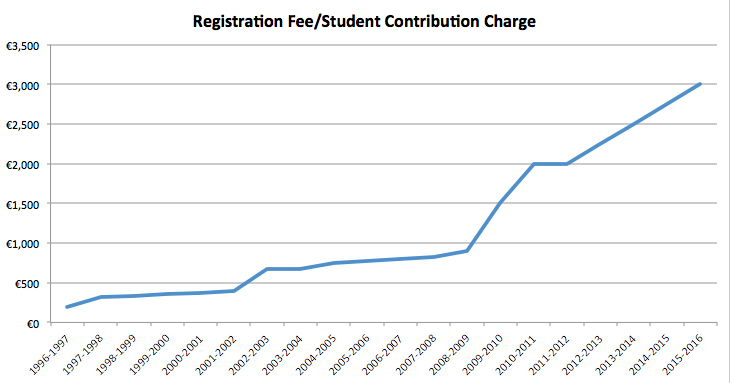 This entry was posted in Higher Education, Innovation and tagged governance, higher education, innovation on November 17, 2014 by Andrew Gibson.